Orlando is the Central city of Florida state in the United State of America, seated in Orange County. It is the 24th largest metropolitan area, 6th largest in the Southern United States and 4th largest city in Florida. Orlando city is famous for various theme parks such as Walt Disney World, Island of adventure, Magic Kingdom, and a lot of water parks. It is also the destination of most of the famous Studio named as Universal studios. In this article, we discuss Five things to do in Orlando on a vacation with kids. Hope it will help you a lot. Orlando is one Of the best tourist destinations with a lot of theme park and well-known spot. Here we are trying to help you with most things to do in Orlando especially when you are on vacations with kids. Here is five best thing to do in Orlando. Walt Disney World is the perfect place to take your children there. 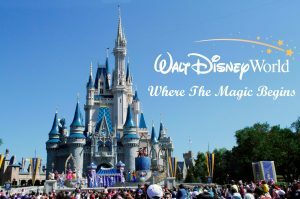 A lot of things to do in Walt Disney World for kids, there is absolutely no other attraction like it. There are more than five parks and more then 20 hotel welcomes you, No doubt Walt Disney is the ideal spot for kids. The Universal Orlando is a famous attraction for kids in Orlando, Florida. Most famous spot for kids in Universal Orlando is Adventure Island and The Wizarding World of Harry Potter. It is a very awesome place to visit with kids. You can find most famous rides, attractions, and Hotels. The Twilight Zone Tower of terror is the spooky ride for Horror and thriller lovers. It is also known as Tower of terror. Kids will definitely enjoy this ride, especially basement area. The ride will be fun because of its darkness and noises.</p? Kennedy space center is near to Orlando, Vacation of your kids never completed unless they never visit this place. Kennedy Space Centre is full of knowledge and fun. You can experience shuttle launch, space shuttle exhibition and Astronaut experience on IMAX theaters. Now the 5th attraction is Winter Park Scenic Boat Tour, this will release all your Travel fatigue. This ride offers you long ride on canals. An attractive thing in this ride is to see Alligators along the shoreline.